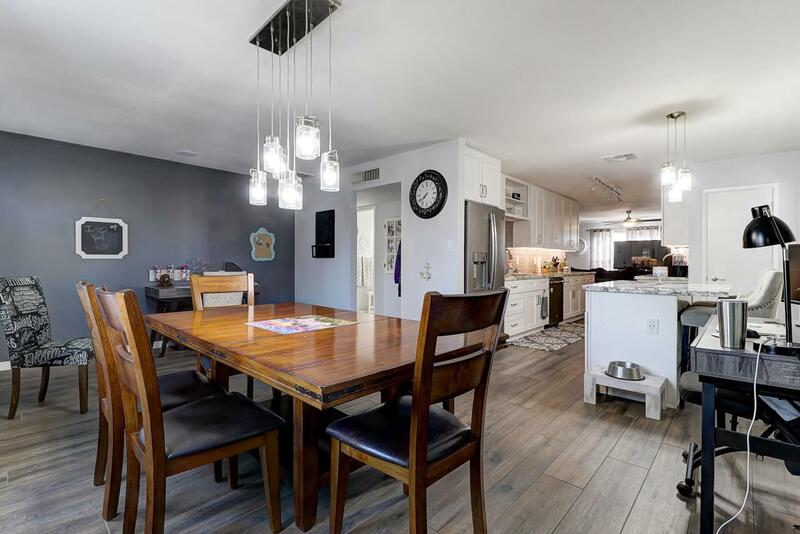 Fantastic South Scottsdale Home!! Remodeled w/no expense spared. 3 bed-2 baths w/ bonus room. Has RV gate & covered parking. House features: Newer Dual Pane Low E Windows & 3 Sets of French Doors. Backyard is perfect for entertaining w/ Sparkling heated pool w/ PebbleTech finish & 12 person spa w/Glass PebbleTech. Also exterior sound system, sitting areas, & synthetic grass used in the NFL. Interior has custom 8''x54'' Plank Flooring throughout home w/upgraded and carpets and padding in the bedrooms. Profile Matte Graphite Stainless Steel Appliances- Double Oven/Convection Microwave combo/Double French Door Fridge/ Dishwasher. Touchless kitchen faucet/. White Shaker Cabinets/undercabinet lighting/all cabinet doors are solid wood w/Full Open Drawers. Click the documents tab for more info.